Smart solutions for distributed renewables. 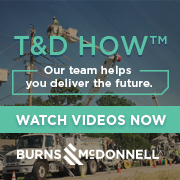 The goal of implementing a distribution management system (DMS) is to upgrade isolated, hands-on grid management processes into an interconnected and automated platform. This technology is transforming the way utilities operate distribution networks, and setting the industry on a path toward seamless integration of distributed resources—both supply and demand. Text messaging promises benefits in customer service and bill-payment efficiencies. Utilities have been slow to take up the opportunities, but successes in other industries and among European utilities is opening the door to SMS transactions for American power companies.